Lately we are having problems of taking good pictures with our dog. A week ago we found a Kickstarter video called "pooch selfie" it's still under development and we can't wait no more. So, we made a hack. A quick and inexpensive guide on how to make dog selfie attachment to your phone. Enjoy! 2. Cut a thin strip of adhesive tape that will fit the top of the double clip. 3. Stick the tape firmly on the clip. 4. Peel the protective side of the tape. 5. Place the clip above the phone where there are no obstruction to your front and back cameras. 6. 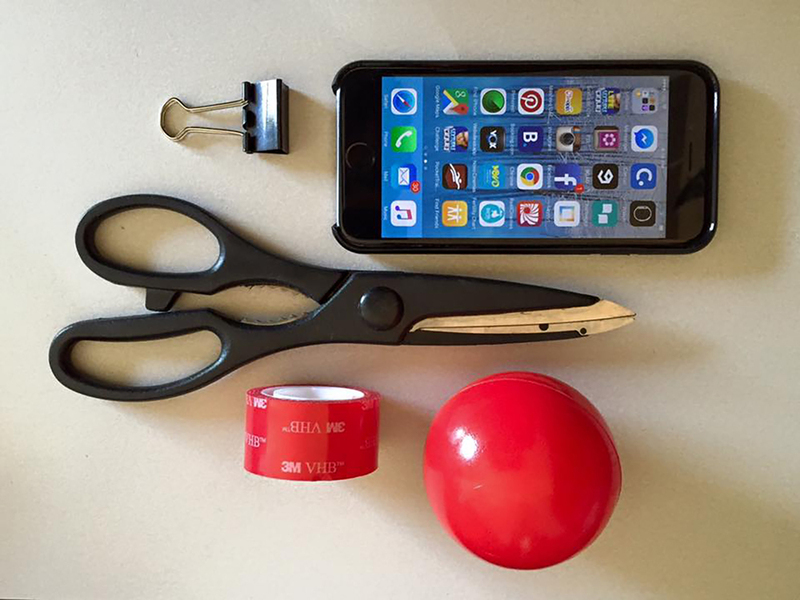 Attach the plastic ball to the adhesive side of the clip. 7. Test stability of the ball. 8. Pose with your dog.